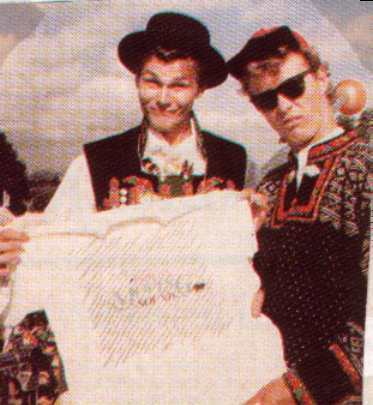 Ok, we all know that a-ha come from Norway, but how many of these others did you know??? Ok, no points for this one!! But did you know that the Vikings were more than capable seamen who discovered America centuries before Colombus. They also set foot on Iceland (probably) before anyone else and colonised Dublin in Ireland and York in England. Dressed in skins and rough cloth, wearing iron helmets and covered in fleas and lice, they burned and raped, pillaged and murdered throughout most of Europe. Hmmm, nice picture! No wonder most of England prayed "Deliver us, oh God, from the rage of the Vikings." Is one of the best known explorers of our time. On the raft "Kon-Tiki", he sailed from South America to Polynesia to prove that the Indians could have undertaken this journey centuries before. In the same way, on the papyrus boat "Ra", he demonstrated that man could have crossed the Atlantic in ancient times. The composer best known for "Morning" from the first of the two "Peer Gynt" suites. Grieg uses the sounds and harmonies of Norwegian folk music. His A minor concerto is on the repertoire of many famous pianists. The capital of the western fjords and home of the composer Edvard Grieg. 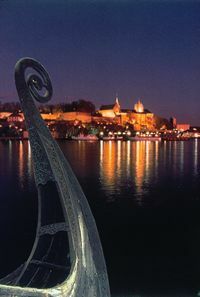 It has one of the oldest symphony orchestras in the World and is well known for its annual Bergen International Music Festival. 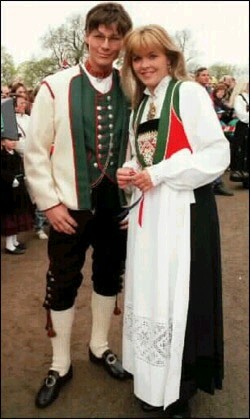 Norwegian national costumes have existed for approximately 100 years and are the result of a conscious effort to conserve old dress traditions in rural areas of Norway. In contrast with national costumes, folk costumes were everyday wear in farming communities and fishing villages. Today, only Sami costumes are genuine folk costumes. They are worn daily by Sami people all over the Arctic region, and by Sami reindeer farmers in more southerly parts of Norway. Hmmm, lets not dwell on this one !! Celebrated as the first person to have reached the South Pole. He was also the first person to sail through the North-West Passage, north of Canada. Nobel Prize for Literature winner in 1920. Author of the following major works, "Hunger", "Pan" and "Victoria". One of Morten's favourite authors, I believe. The coastline of Norway is broken by narrow fjords which can reach up to 200 kilometres inland. 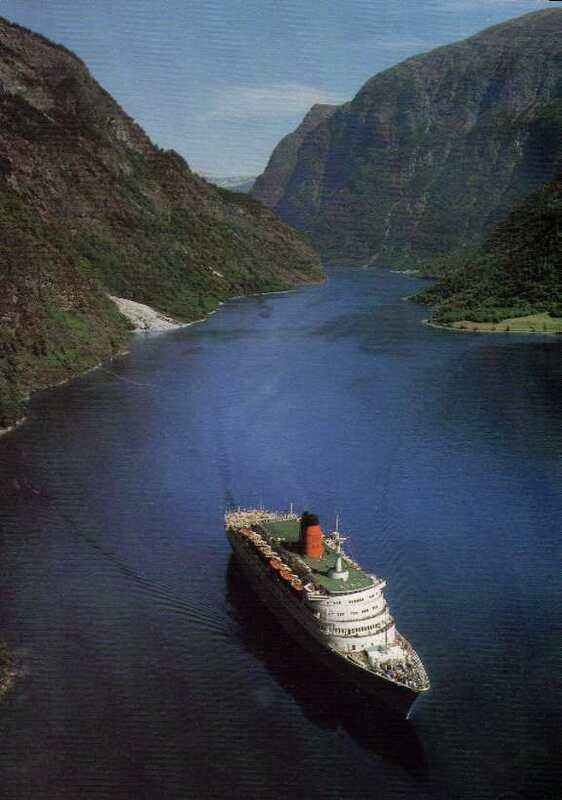 The fjords and the surrounding mountains which rise steeply from the water to a height of over 1000 metres, are among Norway's most popular tourist attractions. Yes, you did read this right! Salmon from Norwegian fish farms are sold all over the World. The Viking heaven - not the concert hall! All Vikings who fell in battle would go directly to Valhalla, to sit at the table of the gods. 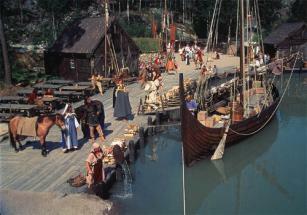 Oslo was founded by the Vikings and became the country's capital in the mid 11th century. After it was destroyed in the great fire of 1624, Oslo was re-built by Danish King Christian IV, who named the city Christiania. 300 years later the city was re-named Oslo after Norway became independent in 1905. Full of museums and places to go, Oslo is a modern European city with an interesting history and an interesting cultural life. The Vigeland Park is one of Norway's most popular tourist attractions. The park consists of 212 sculptures in bronze, granite and wrought iron by Gustav Vigeland (1869 - 1943). Most of them stand along an 850 metre long axis and depict people of all ages, from birth to death. With the adjacent Frogner Park, the sculpture park is the largest and most beautiful park in Oslo. 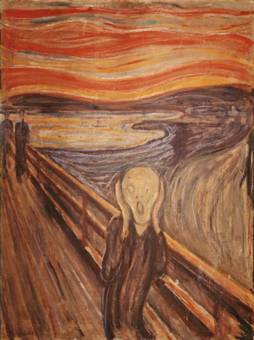 Few paintings awaken such recognition and feeling as "The Scream" (below). A celebrated artist, he portrayed loneliness, anxiety and death, but also love, joy and life. This national holiday is primarily intended to celebrate the memory of the men who wrote Norway's Constitution, which was signed at Eidsvoll on 17th May 1814. Constitution Day has also become a day for children, a day of brass bands and national costumes. Norwegian stave churches are often regarded as architectural monuments to the meeting of Christianity and Norse paganism. The Norwegian King Olav Haraldsson is often credited with the honour of bringing Christianity to Norway, sometime in the year 1000. 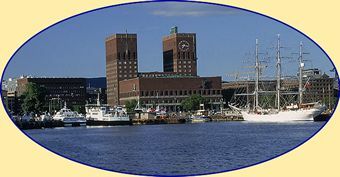 The Olympic Winter Games were first held in Oslo in 1952, and were again hosted by Norway in 1994, this time in Lillehamer. 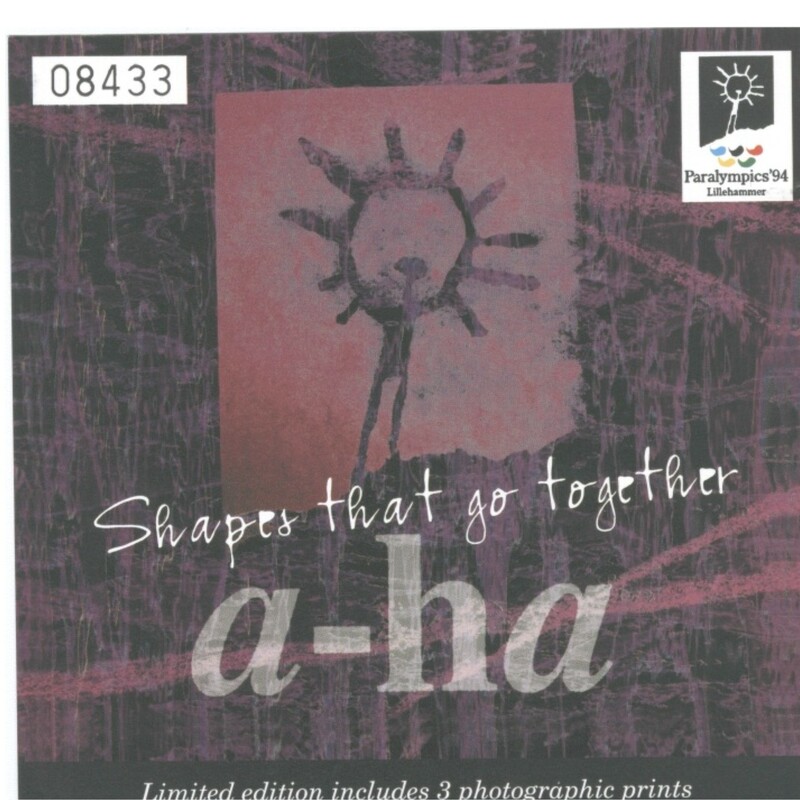 It was the 1994 Paralympic Games in Lillehammer that inspired the a-ha track "Shapes That Go Together". This was released as a single, but to date has never appeared on an official album.